To buy THSR tickets. 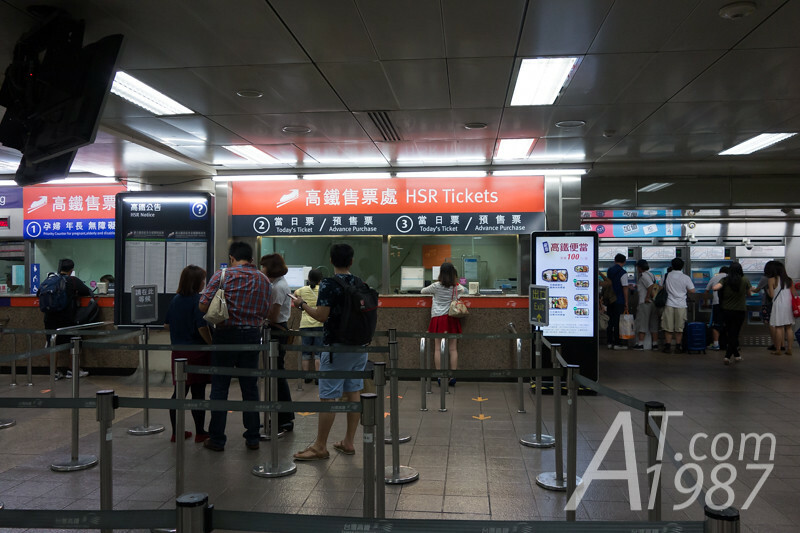 You can buy them on THSR website, ticket counter or ticket machine in THSR stations. Since we couldn’t buy tickets beforehand due to uncertain work schedule. We bought them at the ticket counter in Taipei Main Station on the night before. 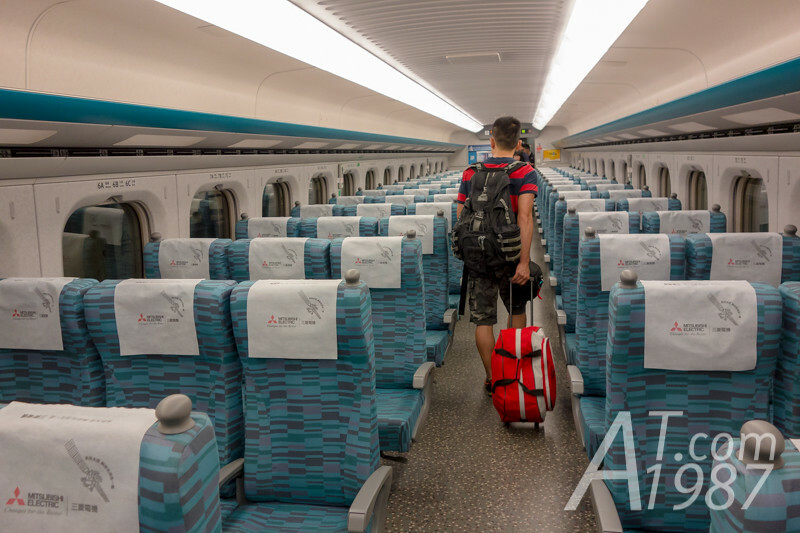 The fare for round trips were about 1,500 NT. 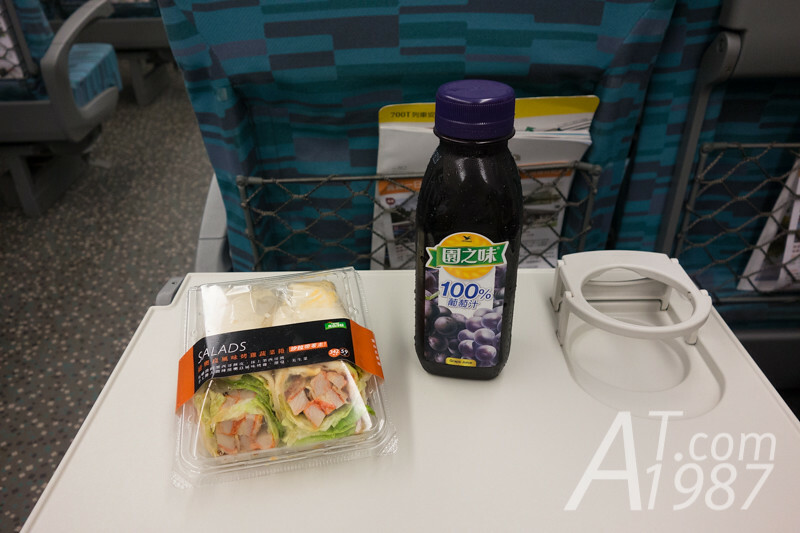 Not so expensive as Japanese Shinkansen. On the next day we left the hotel on very early morning. We planed to go to the station half an hour before the train departure time at 6.30. 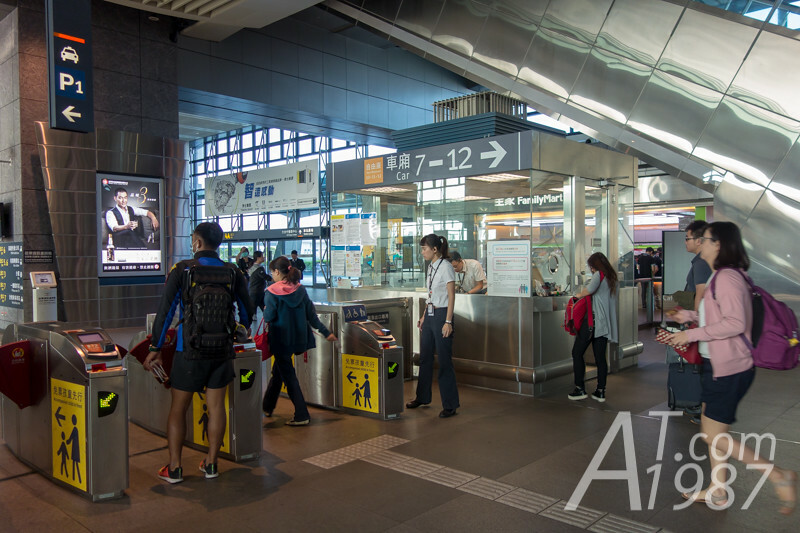 However we found that the Taiwan Metro service hadn’t opened yet. (It opens on about 6.00.) So we had to take a taxi to Taipei Main Station. Those who plan to take the first train should take note on this. The taxi sent us at station’s west exit 3 where you can find 7-Eleven. 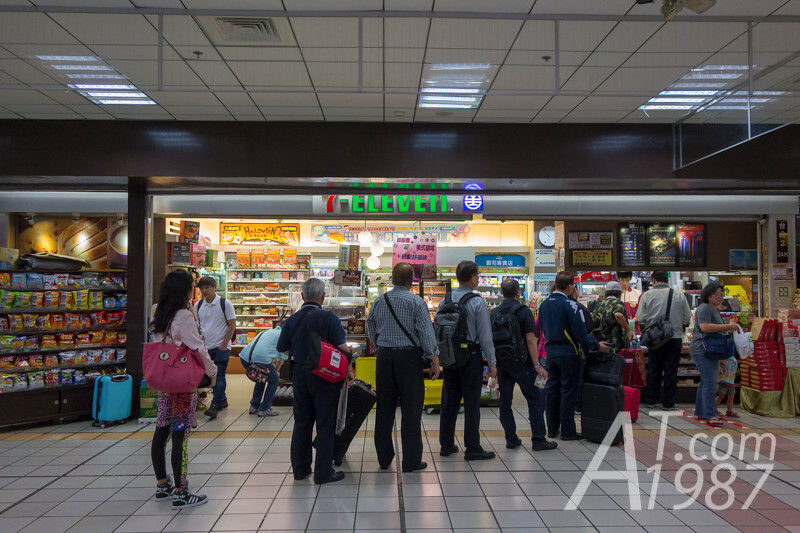 The only store which opens on early morning in the station. We stopped by it to buy breakfast and beverage. 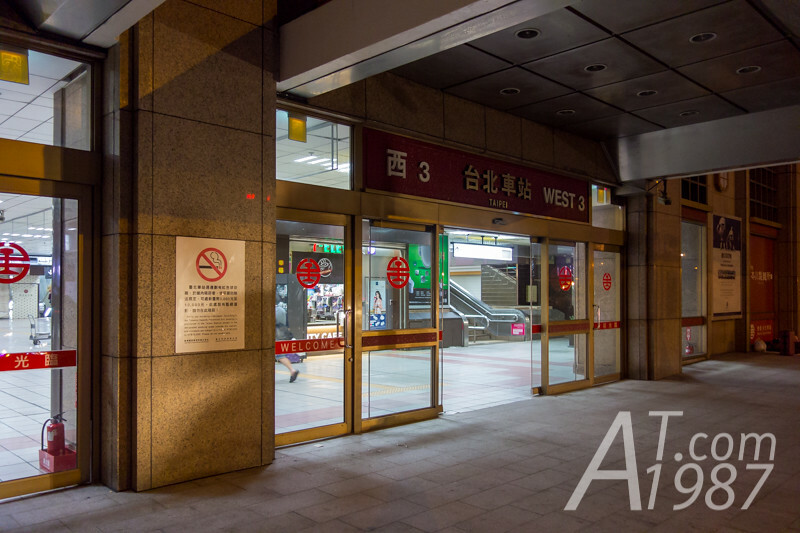 Then we went to the THSR gate which hadn’t opened to passengers yet. 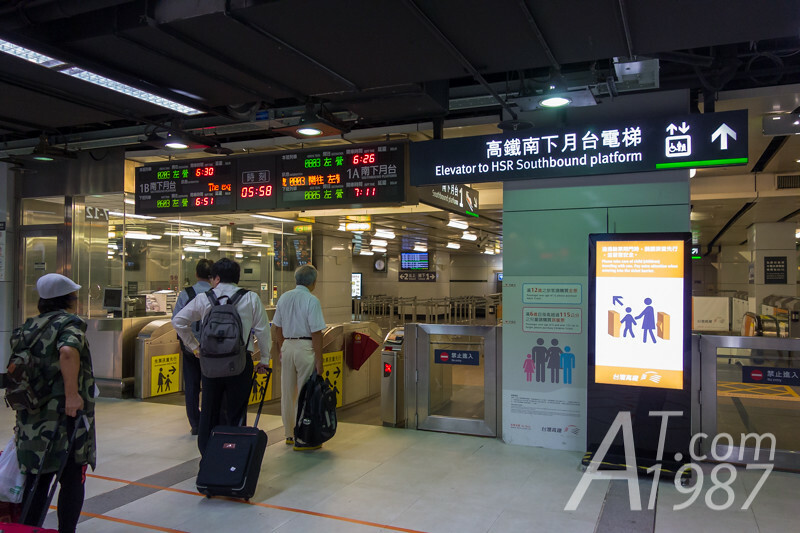 Above the gate is the signage telling the trains that will stop at the platform. So carefully checking which platform your train stops at. It didn’t take much time to wait the train on the platform. 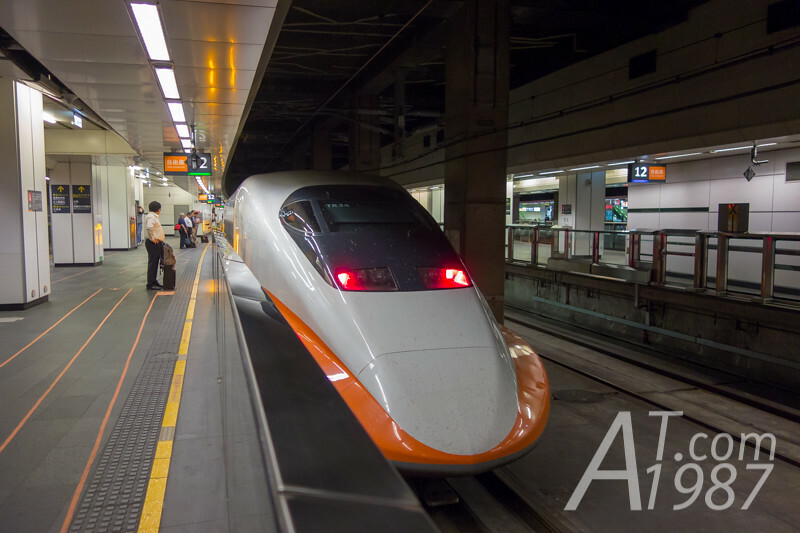 Our THSR 700T stopped at the station but it didn’t let us in. The platform floor has the sign telling which cars will stop at. So the passengers will know where they wait the train. 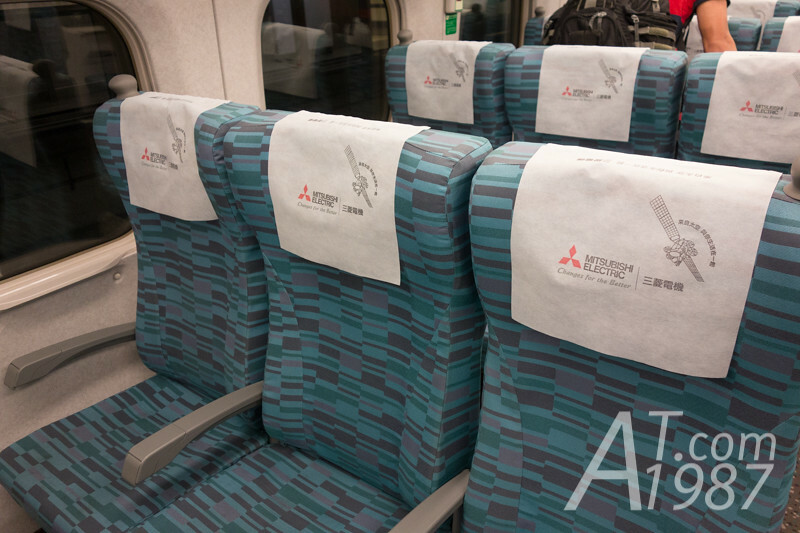 The interior layout is almost the same as Japanese Shinkansen since THSR 700T is in fact a one of 700 Series Shinkansen trains which are used in Tokaido Shinkansen Line. 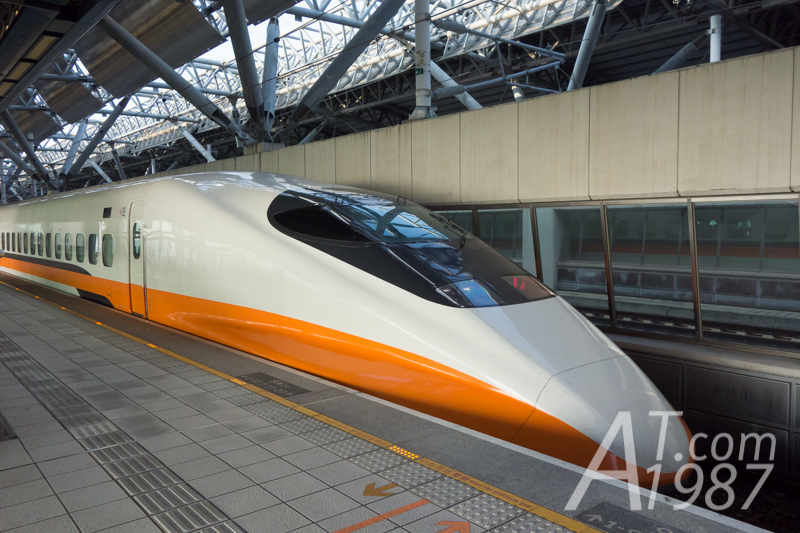 But its specification is modified to Taiwan Railway Administration needs. The seats are big with a lot of leg room space like its sibling. A tray table is folded in front of me. It has the map that indicates facilities inside the train. 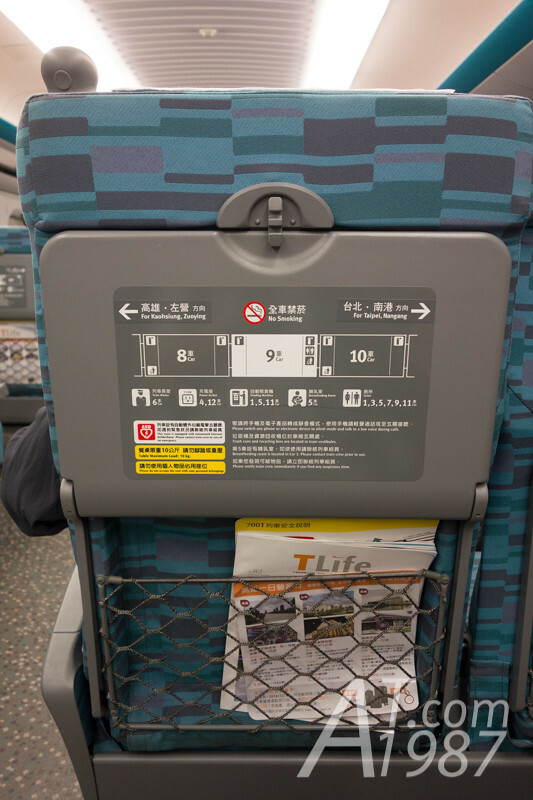 Below the tray is a net pocket where safety document and THSR magazine are in. Since I was very hungry. I put the things I bought at 7-Eleven on the table. They are New Orleans Chicken Roll and Uni President 100% grape juice. The chicken roll is very good but I think its taste will be better if it was warmed. Because 7-Elevens put it in the refrigerator. For those who haven’t buy any foods before get on the train. 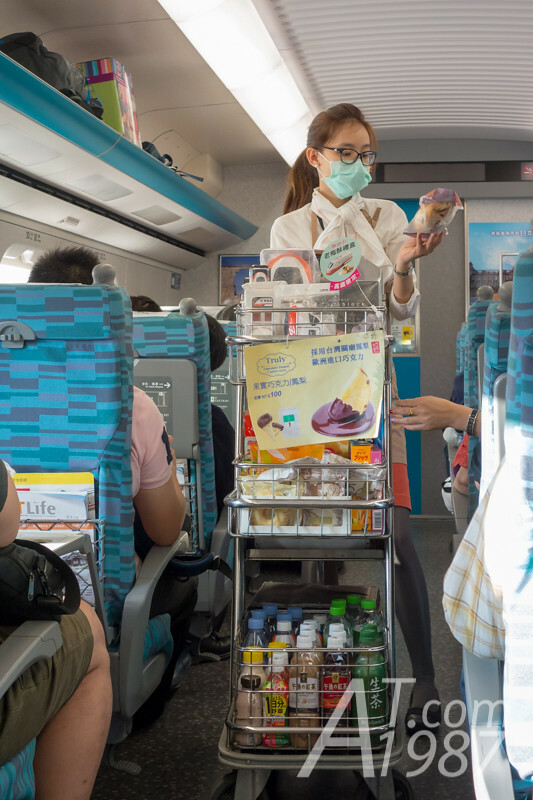 There are service staffs selling them and souvenirs on the train. 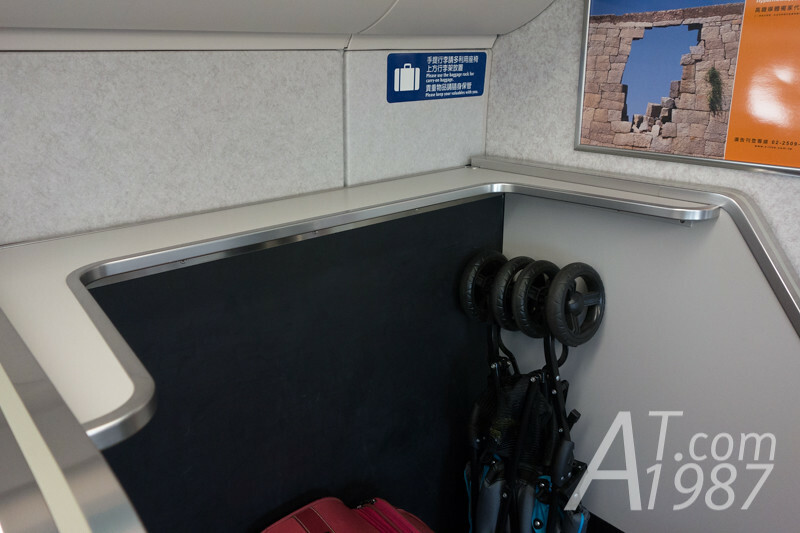 For those who travel with the large luggage, there are luggage storage areas in each cars. 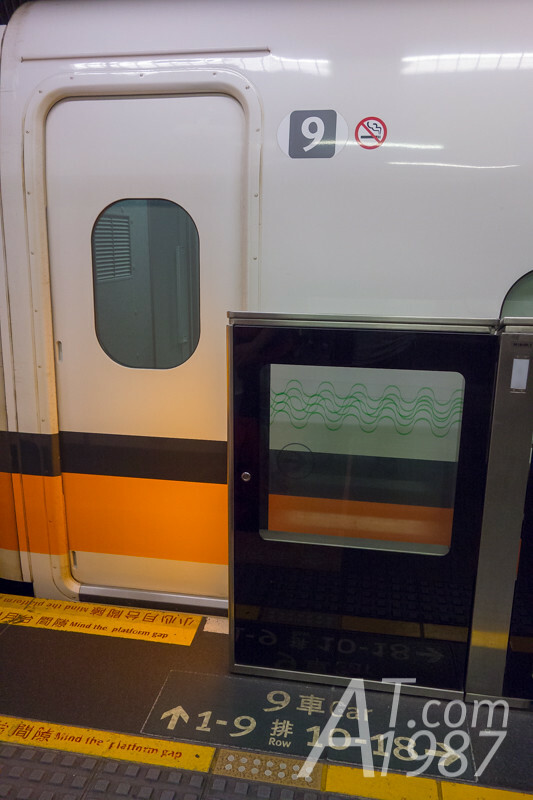 However there aren’t any locks like the ones in Narita Express. I don’t know which one will be better. The locks reassure the passenger that their luggage are safe. But you may not unlock the lock on the time when you are hurry getting off the train. 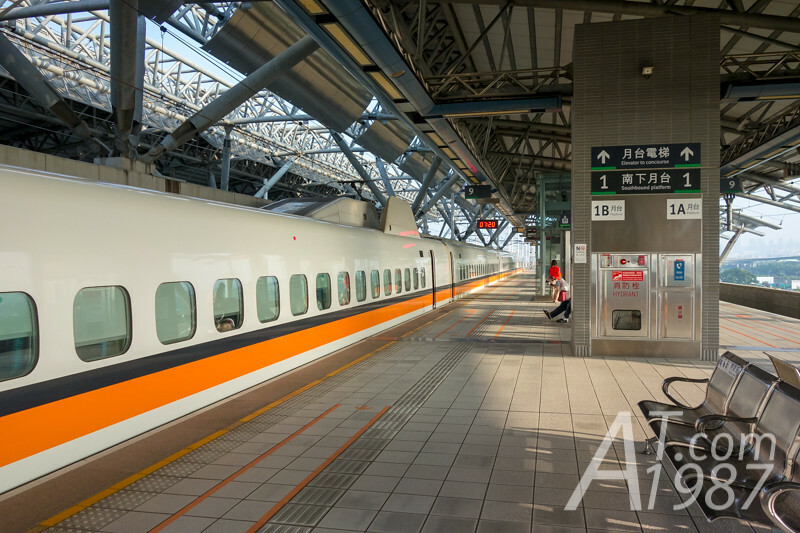 THSR Taichung Station is very large and has similar feeling like Japanese train station. There are a lot of stores especially restaurants but I had already finished my breakfast. So I continued to the next destination. Next time I will write about Sun Moon Lake. Please look forward to it.